Recorder Bytes utilize interactive, projectable PDFs with embedded audio that help teach music your students are learning by using a controlled, methodical approach, all while keeping it fun for them. Use them as a stand alone teaching resource, or in tandem with popular methods like Recorder Karate. 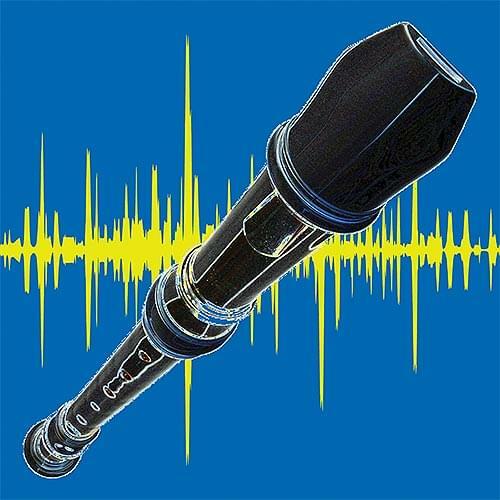 Recorder Bytes are available exclusively at MusicK8.com in a downloadable format. Recorder Bytes are unique because of the fun way they integrate practice through repetition and imitation. Here's how it works: The music is broken down phrase by phrase. Each phrase of music has been arranged in a call-and-response manner for students to practice. The music notation for each phrase along with its corresponding audio are projected in the classroom so that everyone can see and hear it while playing along. After each phrase of music has been practiced and learned, all of the phrases are then strung together comprising the entire song. Recorder Bytes help your students practice and learn by breaking things down into smaller, easier-to-learn bits ("bytes"). Each page of the interactive PDF shows one phrase/segment of music. Each of these segments has a slow version to start out with, and then a fast version as your students progress. After they complete all the segments, the entire song is presented, also at two tempos: first, the entire song – full version (slow); then the entire song - accompaniment only version (slow); then the full version (fast); then the accompaniment only version (fast). Hot Cross Buns - Uses BAG, articulation, counting/rhythm, step-wise motion, tempos are 108 and 126. Suo Gam (Gently Sleep) - Uses BAG, counting/rhythm, expressive playing, step-wise motion and skips, tempos are 60 and 82. Merrily We Roll Along - Uses BAG, articulation, counting/rhythm, step-wise motion, tempos are 70 and 84. It's Raining - Uses EGA, counting/rhythm, 8th notes, skips, tempos are 80 and 96. Old MacDonald Had A Farm - Uses DEGAB, articulation, counting/rhythm, 8th notes, skips, tempos are 80 and 96. When The Saints Go Marching In - Uses GABC'D', counting/rhythm, long held notes, ties, skips, tempos are 120 and 138. Twinkle, Twinkle Little Star - Uses DEF#GAB, articulation, counting/rhythm, skips, tempos are 84, 98, and 109. Amazing Grace - Uses DEGABD', 3/4 meter, 8th notes, dotted notes, long held notes, ties, skips, tempos are 66 and 80. Ode To Joy - Uses DGABC'D', counting/rhythm, 8th notes, dotted notes, ties, skips, tempos are 76 and 96.